First thing’s first: No, you aren’t dreaming. Las Vegas is about to get its first standalone boutique hotel. It’s called The Cromwell, and it’s hard to imagine it not succeeding. The Cromwell is a 188-key boutique and casino located at a prime intersection in Vegas, Las Vegas Boulevard and Flamingo Road, where Bill’s Gamblin’ Hall & Saloon used to be. The casino opened on April 21, but the rest of the hotel will open on May 21. The 169 rooms and 19 suites are all complete now, waiting to officially host guests in a month. The registration desk and concierge desk also wait for guests. Giada De Laurentiis’ first restaurant, Giada (currently under construction), will be the hotel’s signature dining spot. Drai’s Beach Club Nightclub, which is a dayclub and a nightclub on top of the hotel’s roof, will be ready in about two weeks but will open to the public on May 21. Drai’s After Hours will reopen in the same basement where it first became popular back in 1997. After going to De Laurentiis’ tasting event at Caesars Palace on Thursday, media members walked over to The Cromwell, where general manager Karie Hall was waiting to give us a tour. We passed through The Cromwell’s sleek registration area (there will also be curbside greetings and a private check-in area for guests) and arrived at the gym, a small space built for a boutique hotel that offers a variety of exercise equipment, from weight-lifting equipment to treadmills to stairmasters to exercise balls, while offering a view of the adjacent Strip. Hall described the design of the hotel as a fusion between classic and vintage, and that’s evident when you first step into the registration area. 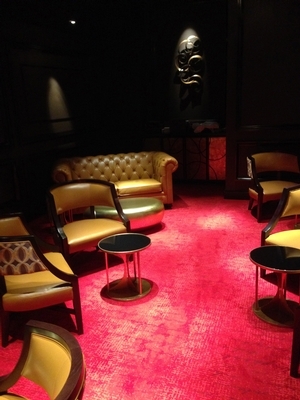 There’s a small lounge area brimming with black, red and gold colors that features old-school sofas and a new-school flat screen TV. Chairs and tables are set up to resemble intimate micro-meeting spaces. But once you step off the elevator into the hotel’s hallways, you really get a sense of what The Cromwell is trying to accomplish. Black, gold and brown hues decorate The Cromwell’s hallways, complete with vintage-style chandeliers hanging from the ceilings. 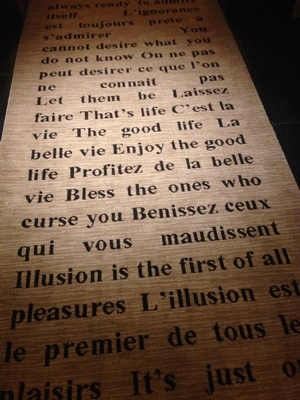 The carpet displays sayings transcribed in French and English. Hall said it was to complement the various European influences throughout the building, from Giada De Laurentiis’ Italian roots to Victor Drai’s beginnings as a restaurateur in France when he was 19 years old. In fact, that’s part of the reason The Cromwell was named The Cromwell: The English name is meant to paint a picture of “collective experiences coming together,” Hall said. My media tour group was first introduced to one of The Cromwell’s standard guest rooms, starting at $249 per night. Black, red and gold colors once again make an appearance, complemented with a cushy white bed. There’s a backgammon table in the room’s lounge area, complete with custom-designed pieces. Mini bars are installed in the room’s dresser. Seductive paintings adorn the walls. You look at one of The Cromwell’s 169 standard rooms and you are already impressed. That’s not even mentioning its suites. There’s no question: If you like a vintage look with modern furnishings and appliances, The Cromwell is the place for you. When you walk into the Boulevard Suite there’s an intimate table to the right, lit by one of the suite’s vintage-style chandeliers. One table near the front of the suite has a couple lamps incorporating metal gears into its design. 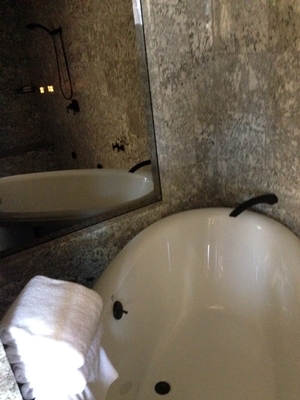 There’s also a modern kitchen and a stone shower/bathtub area. Flat screen TVs are installed in the lounge area, the kitchen and the bedroom. There are 19 suites in The Cromwell. That includes 11 two-bay suites (723 square feet), four three-bay suites (the Bachelor Suites), three four-bay suites (1,411 square feet) and one Presidential Suite, also referred to as The Cromwell Suite. 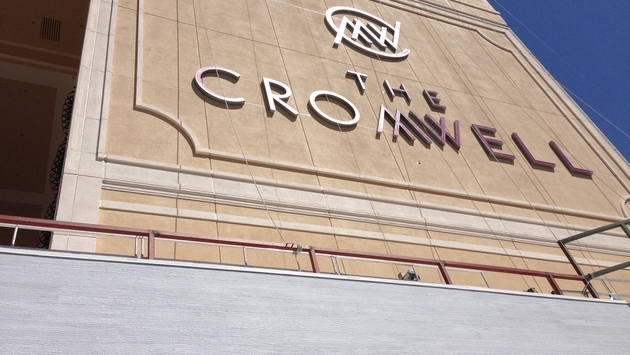 The Cromwell’s top suite is 2,550 square feet. It includes two bedrooms (with an optional bedroom connector), a pool table, a steam shower, a deep soaking tub, a dining area, a 55-inch high definition flat screen TV, 24-hour concierge service and a Mini Mac to use. 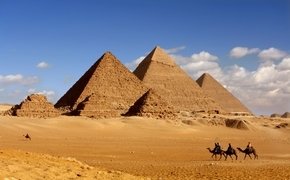 It will go for a cool $30,000 per night, one-upping Caesar Palace’s Titus Villa ($25,000 per night). Of course, The Cromwell experience doesn’t end with its rooms and suites. You also have its club scene, including Drai’s Beach Club Nightclub and Drai’s After Hours. 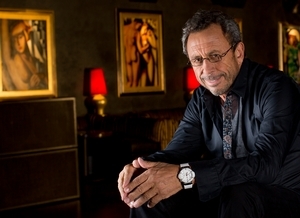 Victor Drai is back, folks. In addition to renovating and re-inventing his popular After Hours spot in the basement of the building, he will also be unveiling Drai’s Beach Club Nightclub on May 21. The two-level rooftop dayclub/nightclub is designed to be a 24/7 party experience, boasting two main pool areas, 10 VIP bungalows and luxury cabanas on the lower level, 15 VIP cabanas on the upper level (private hot tubs/pool areas for cabana guests) and 360-degree views of the surrounding strip 11 stories below. On one side, you will see the sun setting across Las Vegas Boulevard and Flamingo Road. On the other side, fireworks will go off in the night sky from time to time. That’s not to mention the prime views of the nearby Bellagio Fountains. 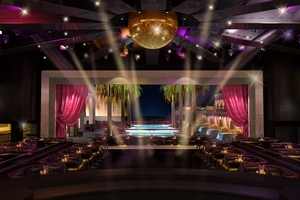 Oh yeah, and Drai’s Beach Club Nightclub will encompass 65,000 square feet, including 4,400 square feet of LED lights in the indoor club/DJ area, 40 poolside daybeds, two bars, a café and 10 35-foot palm trees (like I said, it’s hard to imagine The Cromwell not succeeding). Drai showed us around the spread on Thursday. It is still under construction, but you can already envision what the dayclub/nightclub will look like by its layout and partially completed structures. Drai gushed about the setting of his upcoming hotspot, as well as the 360-degree views. The mind behind Drai’s After Hours, Tryst and XS talked to me a bit about the project as the group was walking back from the impressive space. He confirmed that this will indeed be one of the biggest ventures of his career, a career that spans back more than 20 years to his renowned Los Angeles flagship restaurant Drai’s, which debuted in 1993. He’s been working in Vegas for about 15 of those years, and the last four years have been dedicated to Drai’s Beach Club Nightclub. Drai told me that this is the first time he’s been completely involved in every aspect of the design process. All of the projects he’s worked on before were heavily dependent on enlisted designers. In that sense, while Drai has been doing this kind of thing for years, this is a bit of a new experience for him. He’s excited, but still aware that there’s still a lot of work to be done. Drai’s Beach Club Nightclub is due to be completed in about two weeks before its official launch on May 21. In Las Vegas time, two weeks of construction is an extensive amount of work. For more information, follow Drai’s at Facebook at www.facebook.com/draislv, Twitter at www.twitter.com/draislv and Instagram @draislv. You can also visit www.TheCromwell.com/Drais.html. For more information on The Cromwell, check out www.TheCromwell.com, www.Facebook.com/CromwellVegas and www.twitter.com/cromwellvegas.